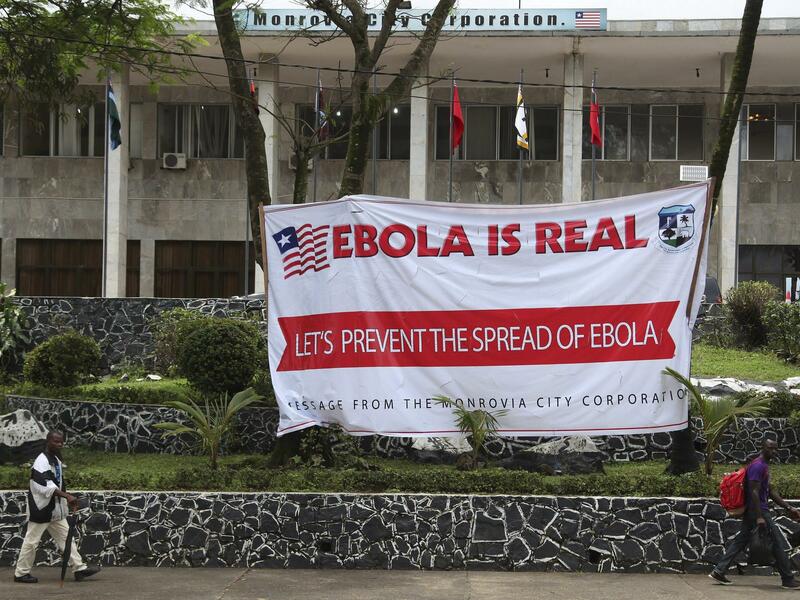 Liberian men walk past an Ebola banner at the Monrovia City Hall in Liberia on Thursday. "If the situation continues to deteriorate, the consequences can be catastrophic in terms of lost lives but also severe socio-economic disruption and a high risk of spread to other countries," Dr. Margaret Chan, WHO's director-general, told the leaders of Guinea, Sierra Leone, Liberia and Nigeria, who are meeting today in the Guinean capital, Conakry. The outbreak has killed at least 729 people. The fatality rate is about 60 percent. 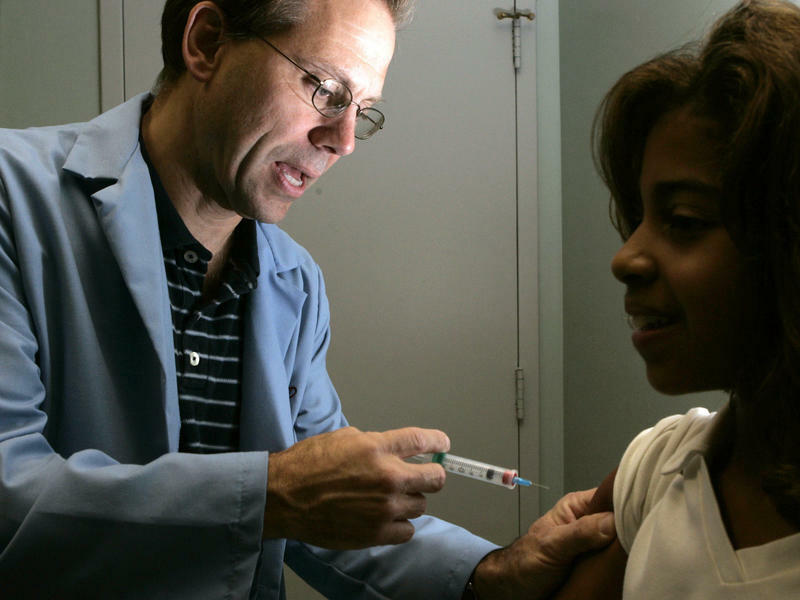 The WHO announced a $100 million response plan to combat the spread of the virus. The public was not at high risk for infection, Chan said, but added, "We must not give this virus opportunities to deliver more surprises." As NPR's Bill Chappell reported Thursday, an isolation unit at Emory University's hospital in Atlanta will be used in the coming days to house and treat a patient infected with Ebola. The hospital didn't name the patient. But that person could be an American infected with the virus. We'll update this post with information about the patient as it becomes available. The aid group Samaritan's Purse said today that Dr. Kent Brantly, an American doctor working for the group, and Nancy Writebol, a missionary, who both contracted Ebola, are in serious condition and efforts are underway to evacuate them from Liberia to the U.S.
"The bottom line with Ebola is we know what to do, but it's not easy," Dr. Thomas Frieden, director of the Centers for Disease Control and Prevention, told NPR's Morning Edition. "It requires meticulous contact tracing, meticulous isolation, and like a forest fire, if you leave one ember burning, it flares up again." -- The head of Guinea's Ebola task force said efforts by Liberia and Sierra Leone to fight the disease may backfire. Aboubacar Sidiki Diakit says measures, including school closures, "make the problem worse." He added: "When children are not supervised, they can go anywhere." -- The African Union canceled a planned troop rotation in Somalia by forces from Sierra Leone because of fears over the outbreak. The AU troops are there to help fight al-Shabab militants. -- A cyclist from Sierra Leone was cleared to compete after being tested for Ebola at the Commonwealth Games in Glasgow, Scotland. 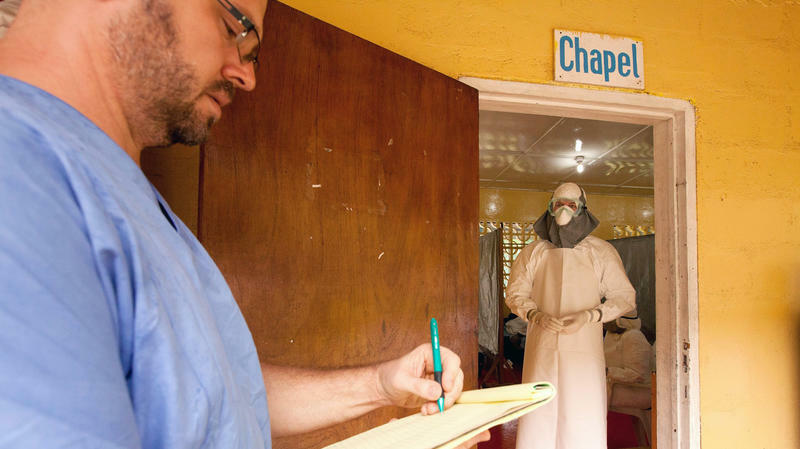 -- The CDC is telling Americans to avoid nonessential travel to Guinea, Liberia, and Sierra Leone.